Registration for Williams in Oxford is now open. Registration closes December 17, 2018. If you have any questions, please do not hesitate to contact the 50th Reunion office at 413-597-4992 or [email protected]. The registration deadline is December 17, 2019. 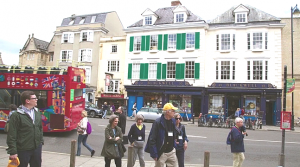 I invite you to take part in a special Williams 50th Reunion tradition in June 2019 – the class trip to Oxford, England. Whether the trip is already on your radar or not, now is the time to sign up. Registration materials are attached and have been mailed to all classmates. Please note that for logistical reasons space is limited to 50 travelers and is on a first-come, first-served basis. We will maintain a waiting list if interest exceeds capacity. 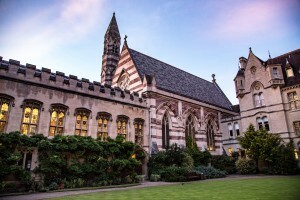 Here’s some background on the trip: Since 1985, Williams has offered a junior year abroad program at Exeter College, one of the University of Oxford’s oldest constituent colleges. The Williams-Exeter Programme at Oxford (WEPO) is now the most popular study away program Williams offers. Over that same period, the 50th Reunion program has offered alumni, honorary members, spouses and partners an insider’s view of WEPO, the University of Oxford, and the surrounding area through interactions with Williams faculty and students living there, Oxford lecturers, and expert guides. Your trip, organized by our 50th Reunion Program team, will run from June 17 to 24, 2019. We price the trip to cover its costs, and past participants have said it offers great value. While in Oxford, we will stay at the Randolph Hotel, conveniently located in the center of town and within walking distance of city landmarks and parks. We will visit beautiful Oxford colleges and gardens, eat together in historic dining rooms, and hear from experts on a wide range of topics. 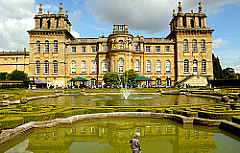 We will have several day trips to sites around Oxford that pair with the morning lectures. There also will be plenty of free time to explore the city on your own, including its world-class museums, casual pubs, galleries, and shops. We include a list of activities that previous travelers have enjoyed so you may plan your own time to explore areas of personal interest. Attached, in addition to the registration forms, you will find a tentative schedule of events, information about accommodations, and useful planning tips. Note that the first event will be a welcome reception and dinner at 6:00 p.m. on Monday, June 17, and that regular check-in begins that day at 3:30 p.m. The trip balances educational and cultural activities and free time. But based on the experiences of previous travelers, what makes it truly special is the chance to enjoy a week of camaraderie and fun with a comfortable number of classmates, honorary members, spouses and partners as your June 2020 50th Reunion draws near. If you have any questions, please do not hesitate to contact the 50th office at 413-597-4992 or [email protected]. The registration deadline is December 17, 2019. If you are ready to register, you have the option of mailing in your registration form to: Williams College, 50th Reunion Program, 75 Park Street, Williamstown, MA 01267 or by calling the office with your credit card information, 413-597-4992. Please, do not send any credit card information via email. We hope to see you in Oxford next June! Here’s some more information on the program – but take the message above as the Official Word, if there’s any conflict. 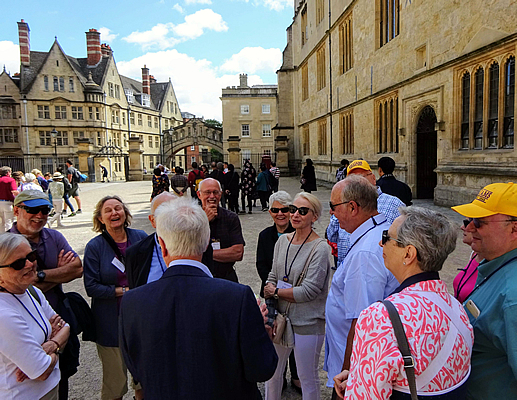 Recent 50th Reunion trips have included guided tours of Oxford and Oxfordshire, a Shakespearean play, and visits with Williams students attending the “Summer in Oxford” program. The trip also features plenty of “free time” to explore Oxford and Oxfordshire. Oxford, GB. Courtesy Patty Pingree, ’66. The trip will be organized for us by Williams’ 50th Reunion staff, Mark Robertson, Director, and Darlene Alderman, 50th Reunion Program Coordinator. This is a highly popular tour, just for the Class of ’70, which gets great attendance from classmates. This is a very popular chance to spend a pleasant week in England on a well-guided program with your ’70 classmates. Roughly 50 travelers per year, including 50th Reunion classmates and spouses, have made this class trip. Details TBA by the Williams 50th Reunion Committee and College staff later in 2018.